I tend to be late in catching up with whatever TV show it is that is winning over the audience and the critics alike. 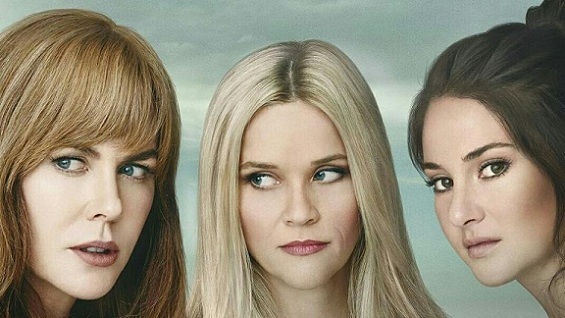 And so it was that I only caught 2017’s Big Little Lies during Weekend Binge last…uh…weekend. This is even as Mrs Maisel is the much talked about show currently, or have we moved on even since? Well, so be it. I enjoyed it a lot. It was wonderful to see a show that easily passed the Bechdel test and, more importantly, gives the female leads (and also the other actors, male or female) enough space and time to really internalise the roles and embody the characters they are essaying without the pressure Hollywood exerts on them to look suitably star-like. But it was mainly the conceit of a murder plot entangled with spouse conflicts, parenting issues, inter-family rivalries, outsider-insider tussles that made it a very engaging watch for me. And I wondered where I had seen this before. What among my previous experiences in art did Big Little Lies remind me of? And then, it occurred to me. Murder plot. Small but wealthy town of people who can act a touch provincial, territorial or conservative. A town where nothing seemingly misses the attention of neighbours who casually pass off gossip as gospel truth to police officers. And a whodunit where the unexpected solution arrives from a familiar source. Yes, Agatha Christie, particularly Miss Marple! That’s what Big Little Lies is at heart. It is intentionally set in Monterey, a town of 27000 people, far from the Bay Area but not all that far from its politics. Therefore, the denizens of Monterey attempt with difficulty to strike a balance, to find a moderate median between the wild progressivism of the Bay Area that seems to be attracting the teenage offspring of the Monterey ‘elders’. So, when Abigail (Kathryn Newton) wants to sell her virginity and donate the proceeds to Amnesty International as part of a cause, it upsets her mother Madeleine (Reese Witherspoon) greatly. When Renata (Laura Dern) wants guns banned in the county, Madeleine, a lawyer by qualification, pushes back, not because she loves guns but because she doesn’t want something that would go against the Second Amendment. It’s all peace and quiet in Monterey. Except when it isn’t. An intricate web of broken and thriving relationships connect the mothers who drive the story. The spouses (and other men) are essentially just vehicles to convey the plethora of emotions the mothers go through from guilt to inadequacy to envy to resentment to pure terror, with of course interludes of joy and ecstasy. Some mothers seem to form natural alliances like Madeleine and Celeste (Nicole Kidman) while others like Renata is standoffish. And Jane Chapman (Shailene Woodley) is the proverbial outsider from the Agatha Christie novels, viewed with either of contempt, disdain or suspicion. But she in turn finds an alley in Madeleine; alternatively, she is caught in the crossfire as Madeleine and Renata feud, with Madeleine investing a lot in ruining the birthday party of Renata’s daughter Amabella. Yup, no kidding. If the feuding seems petty and trivial at times, lingering in the shadows is the yet to be revealed murder. We know from the beginning that there is a murder but not who was murdered (let alone the identity of the murderer). The action frequently cuts to a flashback of a monstrous sexual assault in Jane’s life and her desire to avenge the predator. I mentioned cutting. There is frequent cutting in and out of scenes and situations and in the style of modern television, the chronology is far from strictly linear. This is more evidence of the Monterey bottle in which a Christie like story has been wrapped up (and also the small but significant fact that the detective/police have a very limited role to play in a mystery that eventually solves itself). Neither the Christie stories/novels nor the TV episodes based on them deviated from a strictly chronological style of narration. One could be cynical and argue that the inter-cutting is what keeps us hooked through seven episodes of small town intrigue where a Christie mystery would have wrapped it up in a couple of episodes at the most. I have not read the book, also titled Big Little Lies, on which the series is based. I am curious as to whether Liane Moriarty too followed a more lateral rather than chronological style of narration or whether this was the ingenuity of the legendary David E Kelley of The Practice/Boston Legal who scored a hit here after a long time. Either way, this modern update of the Christie formula of writing a story around rather than strictly about the whodunit works like a treat. Yeah, sorry, wonder how that crept in!